Their findings, first reported on bioRxiv, suggest that scientists can effectively use synthetic target sites and split drives to conduct gene-drive research, without the worry of causing an accidental spread throughout a natural population. Gene drives, such as those trialled in malaria mosquitoes, are genetic packages designed to spread among populations. They do this via a process called 'drive conversion', where the Cas9 enzyme and a molecule called guide RNA (gRNA) cut at a certain site in the genome. The drive is then copied in when the DNA break is repaired. "CRISPR-based gene drives have sparked both enthusiasm and deep concerns due to their potential for genetically altering entire species," explains first author Jackson Champer, Postdoctoral Fellow in the Department of Biological Statistics and Computational Biology at Cornell University, New York. "This raises the question about our ability to prevent the unintended spread of such drives from the laboratory into the natural world. "Current strategies for avoiding accidental spread involve physically confining drive-containing organisms. However, it is uncertain whether this sufficiently reduces the likelihood of any accidental escape into the wild, given the possibility of human error." Two molecular safeguarding strategies have recently been proposed that go beyond simply confining research organisms. The first is synthetic target site drive, which homes into engineered genomic sites that are absent in wild organisms. The second is split drive, where the drive construct lacks a type of enzyme called the endonuclease and relies instead on one engineered into a distant site. "The nature of these strategies means that they should prevent an efficient spread outside of their respective laboratory lines," Champer adds. "We wanted to see if they both had a similar performance to standard homing drives, and if they would therefore be suitable substitutes in early gene-drive research." To do this, the team designed and tested three synthetic target site drives in the fruit fly Drosophila melanogaster. Each drive targeted an enhanced green fluorescent protein (EGFP) gene introduced at one of three different sites in the genome. For split drives, they designed a drive construct that targeted the X-linked gene yellow and lacked Cas9. 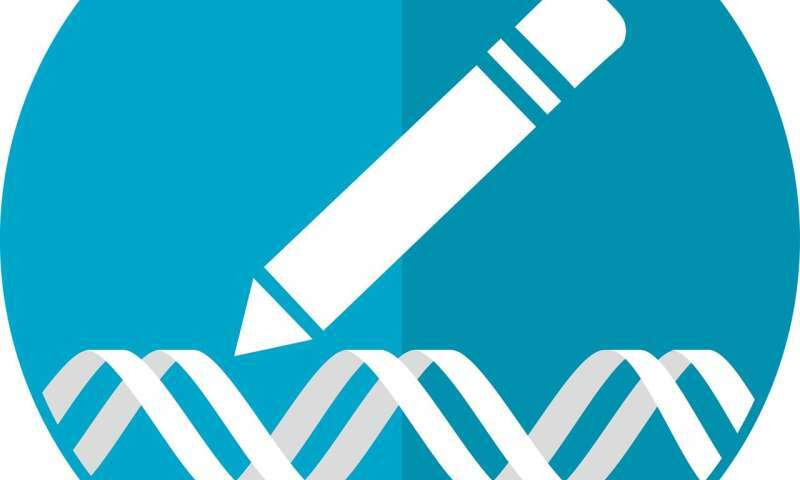 Their analyses revealed that CRISPR gene drives with synthetic target sites such as EGFP show similar behaviour to standard drives, and can therefore be used for most testing in place of these drives. The split drives demonstrated similar performance, and also allow for natural sequences to be targeted in situations where the use of synthetic targets is difficult. These include population-suppression drives that require the targeting of naturally occurring genes. "Based on our findings, we suggest these safeguarding strategies should be adopted consistently in the development and testing of future gene drives," says senior author Philipp Messer, Assistant Professor in the Department of Biological Statistics and Computational Biology at Cornell University. "This will be important for large-scale cage experiments aimed at improving our understanding of the expected population dynamics of candidate drives. Ultimately, this understanding will be crucial for discussing the feasibility and risks of releasing successful drives into the wild, for example to reduce malaria and other vector-borne diseases."